WHEN: 23 August 2018, 02:30 p.m.
To register for the webinar, please click here and fill out the online form. The Canadian Securities Administrators (CSA) published two notices concerning investor protection initiatives. The first requests public comment on detailed reforms (Client Focused Reforms) to obligations of registered firms and individuals (registrants). The second sets out the intended policy decision with respect to mutual fund embedded commissions. 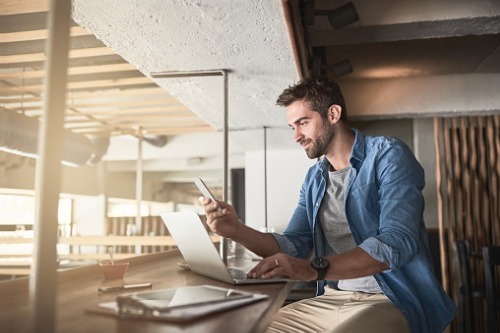 These initiatives aim to better align the interests of registrants and investors, improve investor outcomes, and raise the bar for registrant conduct. provide clients with greater clarity on what they should expect from their registrants. URGENT! 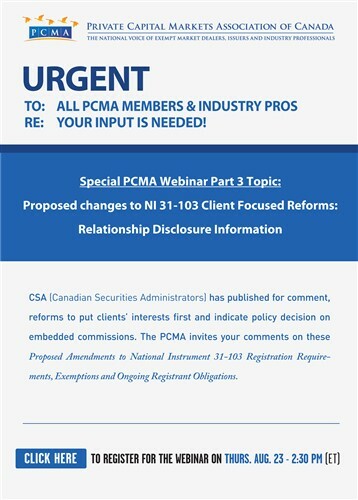 Click here for the templates that the PCMA have prepared for you to comment on various issues in the CSA's proposed amendments so that we can incorporate them into the PCMA's comment letter. Please follow the instructions contained on the first page and return your completed templates to the PCMA as soon as possible (and before August 31, 2018).